I am Samyraj, a software engineer. In my native village, they call me Samy. I am from Trichy (The Rock City), Omandur Village. To be honest, I was not much interest on cooking till when I move away from hometown for my career. Then I was in the condition to prepare food myself. From my childhood, I used to help for my mother to make food, grind Idli batter, cutting vegetables, preparing chappathi, deep frying sweets and snacks during festivals, making Dosa's, buying groceries and meat, etc..Also we had a tea shop during my 11 to 15 years at my village. I used to make tea, coffee, Vada/Bajji/Bonda, Sarbath, Juice. We also make butter milk with the excess milk from tea shop. I used to sell to village people by roaming village streets in a bicycle. Might be these kind of activities helped me to learn cooking automatically. No one teach me how to cook. Actually, I am physically challenged due to polio from my child hood (3-1/2 years). Till college, I used to play cricket and it was my hobby(limited activities like wicket keeper, fielding at mid wicket, Cover). After years gone, I was not able to play cricket with my friends due to my health condition. Then, I tried to learn guitar and it was not successful. (lost interest, but learnt some basic chords and how to play) . Once I move to USA for my work, I was very interested to explore many places and taste the different varieties of food. It increased my interest on food too much. Then, I focused on cooking. Now it become my first hobby. Now, I am making few recipes myself and updating this blog and my youtube channel FoodFriend. Sorry to say, those are actually not my own creation. I learn from other bloggers and youtubers. I am very interested in web design as well. However, even if try many recipes at restaurant, the home made food is very healthy and tasty. 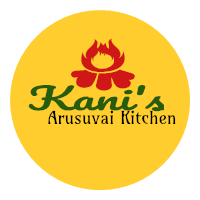 Along with recipes, I add health blogs which are translated Tamil articles and books. Hope you like the recipes you find here. I will be thrilled to hear from you. Let me know if you like the recipes.